As the earth awakens from its long winter nap, so do our homes. It's a great time to clean out clutter and clean out the dust that gathered from a long season spent inside. Get the home ready to wake up with this simple cleaning checklist. Whether you do a supremely deep spring clean or just the basics, you need supplies. This shouldn't break the budget or have anyone spending hours creating the cleaning products before actually cleaning. Keep it basic but useful. Use old t-shirts, good cotton rags, etc. to do the cleaning. Skip the wasteful paper towels. The paper towels never do as a good of a job either. Have a supply of washcloths, sponges, and scrubbing sponges handy. Make sure the cloths for the mops are clean and ready, too. There are so many cleaning products available and I think we're conditioned to believe we need something different for every cleaning need. Commercially available products are either laden with chemicals or ridiculously expensive. It can be so tempting to make a different cleaning product for every need. Can we all just stop that madness? 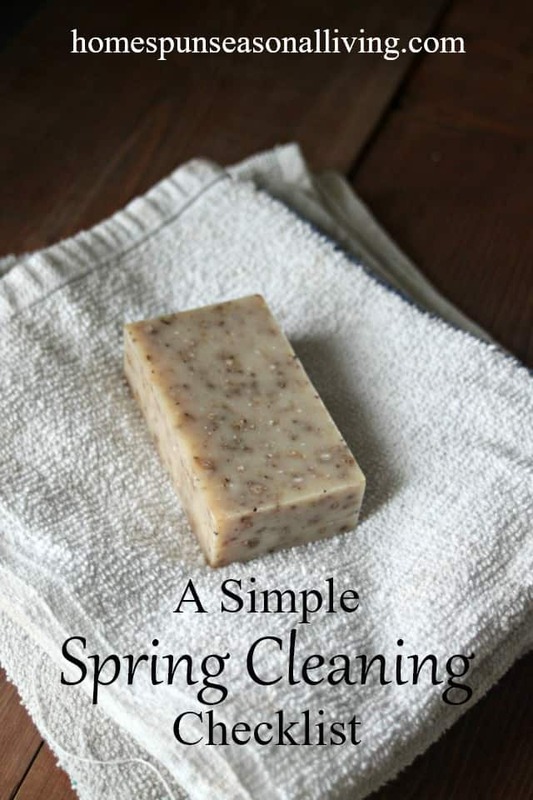 Regular old soap and water does more than a fine job of cleaning most things. There are some exceptions, of course. Windows often need vinegar for the best streak-free view. Always use what's needed but let's remember that diluted vinegar and plain soap go a long way. Disinfecting is the other exception. Kitchen counters and bathrooms need a good disinfecting now and then to keep us all healthy. 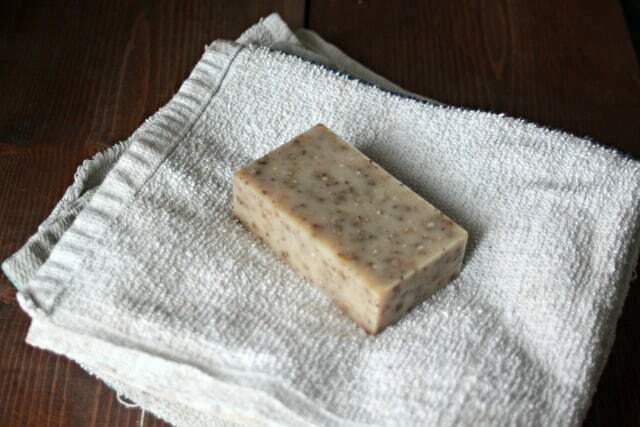 Again, most of the time soap does a very good job of killing germs. 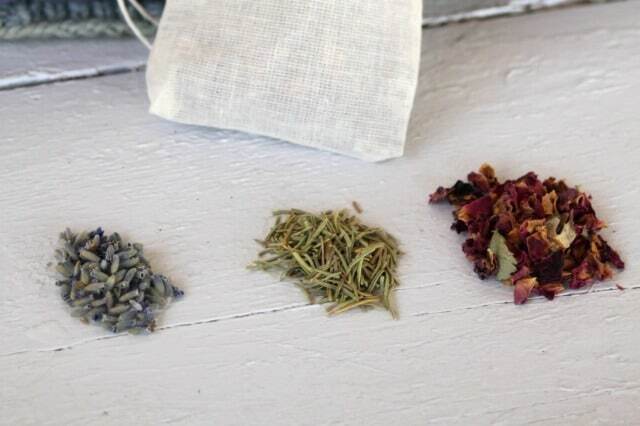 For the stronger needs or after a cold makes its way through the house, use an all natural cleaner like my favorite thyme-infused alcohol spray. It's natural, easy to whip up and can help clean up some germs. After those wool hats and gloves, snow boots, and heavy parkas are no longer needed. Give them a good wash and put them away for the spring and summer seasons. Pack them into containers or closets where they'll stay free of water or dust. Be sure to protect them from insects with herbal moth repellent sachets. Those wooden spoons and scrapers get a lot of use. Make conditioning them part of the spring cleaning routine. Give them all a good cleaning, sand any rough edges, and rub them down with wood spoon oil. 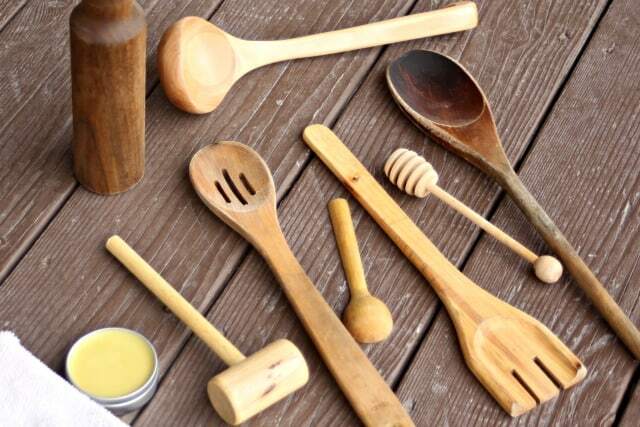 This is a simple routine that done just once or twice a year can keep your wooden cooking utensils protected and serving you well for a long time. Clean the baseboards, move the refrigerator, do a pantry inventory. Or not. Do as much or as little as you feel necessary for your home and your lifestyle. There is no right or wrong here. Skip the lists from magazines or do them – again this is an extremely personal decision. As the season changes, open the windows and get the house ready to come out of its hibernation. Do a little spring cleaning so that the house and its inhabitants can embrace the awakening natural world. Aha. I thought this was going to be one of those posts with a checklist that seemed to just overwhelm me instead of motivate me to start on that spring cleaning checklist. Thank you for keeping it real. Great tips and advice and no unrealistic expectations. Thank you. I’m so glad this was useful to you and I try really hard to keep the expectations achievable around here.